A common question regarding food preservation is one related to the tools you use. This is especially important when you want to preserve raw foods. 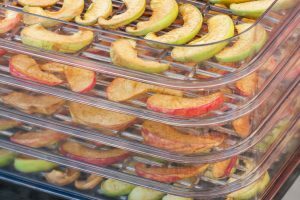 This issue often comes up: what is the difference between a food dehydrator and a freeze dryer? You might also be wondering which one of these are best to preserve food and which one you should get for your kitchen. If this is something you are wondering about, you have come to the right place. So let’s jump right in. 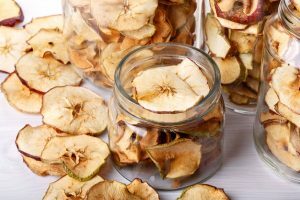 What exactly is the difference between a food dehydrator and a freeze dryer? To make the difference clear, we first have to look at the difference in the processes of preservation with each of these machines. A food dehydrator works primarily with a gentle to high temperature and air flow to slowly remove the moisture from food. It is an ancient and quite standard way of preserving food. A freeze dryer, on the other hand, does what it says in its name, it freezes. A home freeze dryer slowly cools food down to a chilled temperature below freezing. Then a vacuum pump activates. Here the process is a little more complicated than with a food dehydrator. The food is warmed in the vacuum and the water sublimates (it goes straight from ice to steam). Then the food is chilled again. This process is repeated a few times until the moisture is almost completely removed from the food. So as you can see both these machines do the same thing, they remove water from food, but the method and results vary quite a bit. So your next question will probably be: which one should you use and what results do you get? 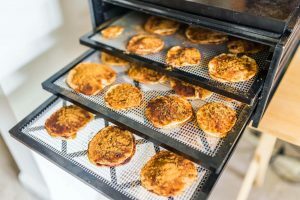 When you look at the difference in the drying processes of a food dehydrator and a freeze dryer is obvious that the results will vary between the two. 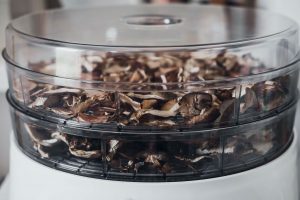 With a food dehydrator you get a leathery and chewy texture, things like dried peaches, beef jerky, raisins and so on can easily be made in a food dehydrator. You can also create spices and dehydrated vegetables that you can use in soups and stews. 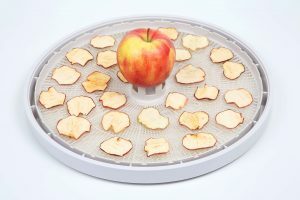 A food dehydrator can also be used for art projects or to make potpourri. 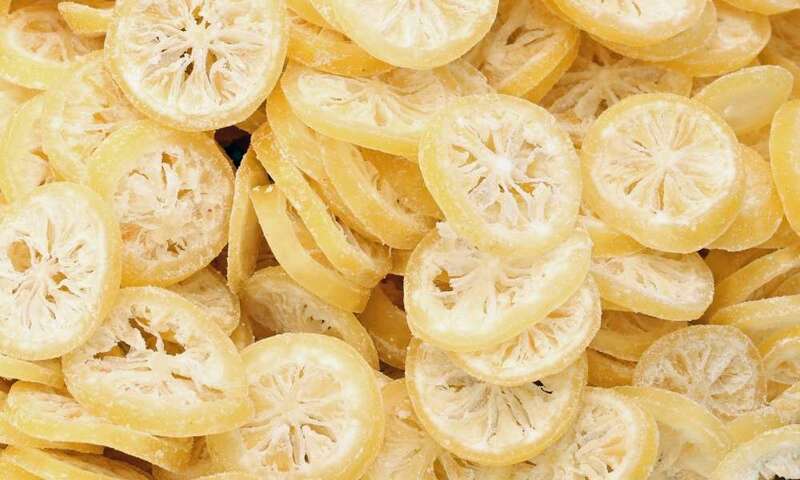 A freeze dryer, on the other hand, creates dried foods that are very light and work well for rehydration. 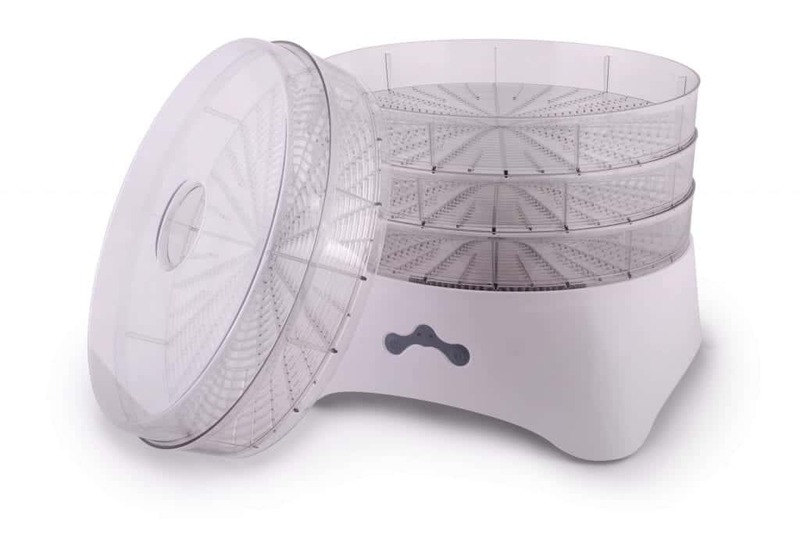 The food does not shrink as it does with a food dehydrator. The product here can easily crumble, but these foods rehydrate very quickly. Many of the just-add-water food packets you see in the hiking or outdoor section of a shop feature freeze dried foods that expand when you add water. These foods are incredibly light compared to dried fruit or beef jerky. 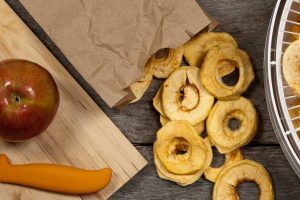 When it comes to choosing a between a freeze dryer and a food dehydrator you may need to consider your budget and what types of food you want to preserve. Food changes when you use a heated food dehydrator. You will get raisins from grapes for example. But with a freeze dryer, you will get results that are closer to the original foods, especially if you plan to rehydrate it. 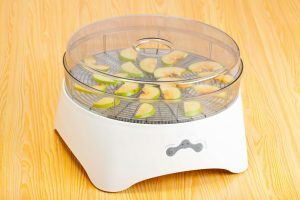 To use a home food dehydrator is quite easy, you can choose among wide varieties of models at almost any price level. When it comes to freeze dryers, things become a bit more difficult—for home use, there aren’t that many options available, and they don’t come cheap. However, if you want to go into business, it could be worth the investment. Especially if you are thinking of preserving food for the next few decades, a freeze dryer is the only option. 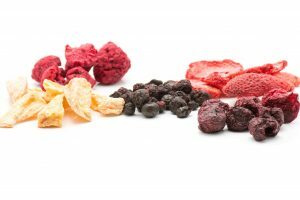 In this article, we looked at the difference between a food dehydrator and a freeze dryer. 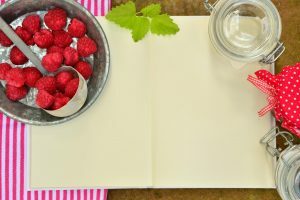 These food preservation tools differ in the way they take the moisture out of food, and in the type of results you get. But with both of these, you will be able to extend the shelf life of food quite a bit. 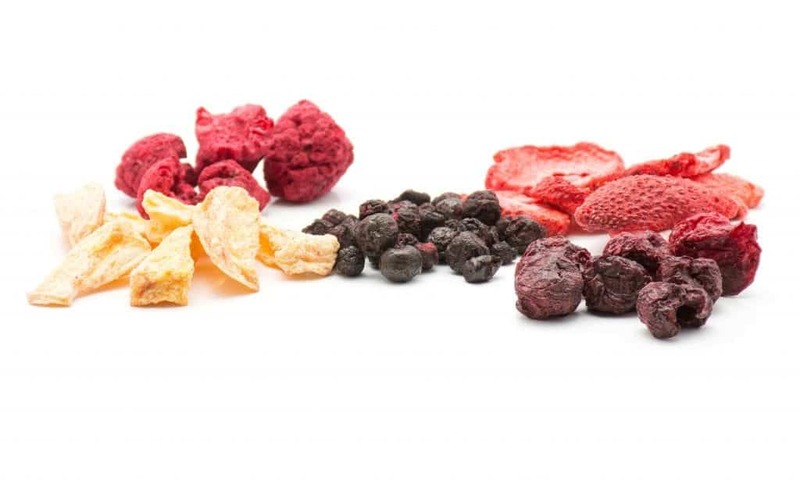 Freeze dried foods can last about double the time that heat dehydrated foods do. 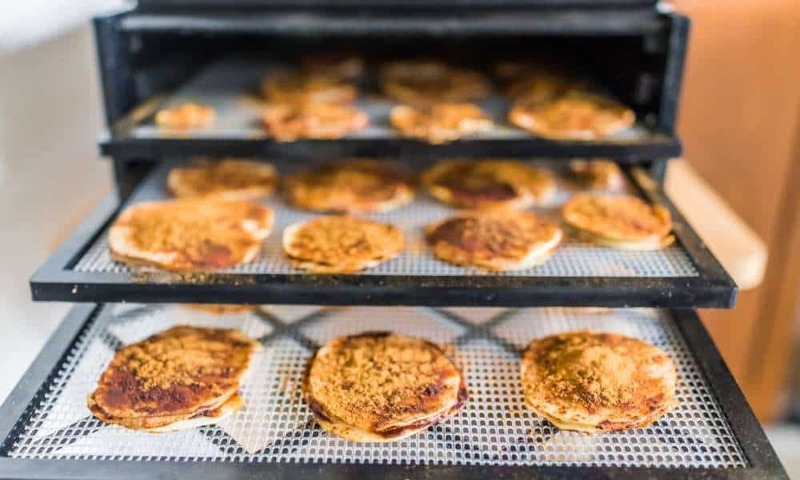 The best time frame to store dried fruit and similar things that you can produce with a home food dehydrator is 1-3 years if you want to have good taste and texture, it can last up to 10 years, but then it’s not entirely great. Freeze dried foods can apparently last decades. So if it’s worth your while, it might be a good idea to spend the money for a professional freeze drier.